Zombies…what more can really be said about them? Our culture is inundated with zombie imagery in films, video games, magazines and books, familiar to pretty much anyone. 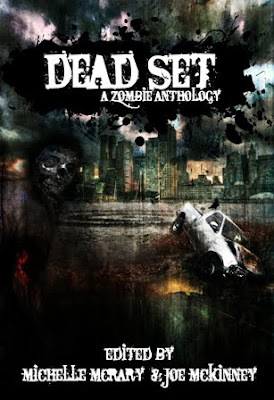 In the horror genre there are dozens of new zombie films and books every year, so it’s amazing that fans aren’t fed up with the whole zombacalypse theme. However, it seems that despite the genre being flooded zombie stories, fans can’t get enough of them and the subgenre seems stronger than ever. Greetings from a fellow veg*n! There aren't too many of us around on the horror circuit, are there? We do seem to be a rare breed, so it's a pleasure to meet you! Look forward to keeping up with your blog!